If you haven’t heard of Georgian Bay Gin Smash, take a trip to your local liquor store – you’ll find them in the pre-mixed cocktail section. These little cans are great beach-side, pool-side, summer-time beverages that fit nicely into coolers and love to be recycled. 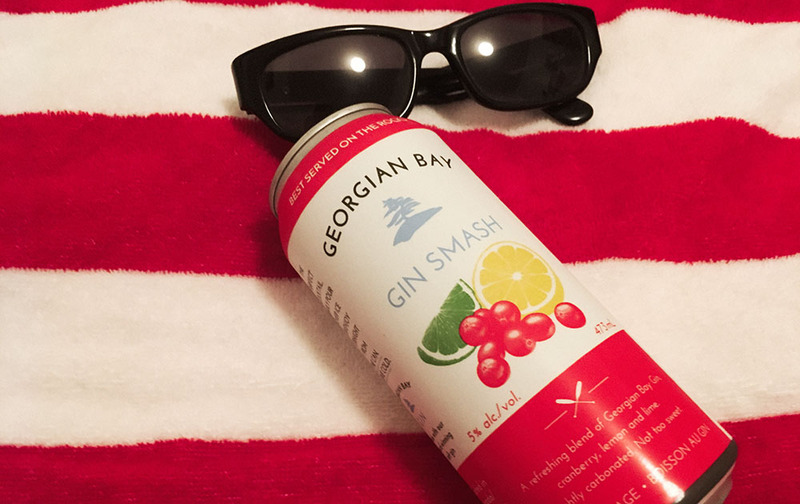 At the beginning of the summer, they released a new flavour – Georgian Bay Cranberry Gin Smash. I was excited to try it, as summer is best paired with pre-made cocktails (so I can focus on my tan instead of mixing my drinks). Opening the can, a waft of red gummy candies caressed my nose. It made me think of Swedish berries or red gummy lifesavers. First taste had very little flavour in comparison – I felt it was more akin to flavoured water, rather than a cocktail. Then the tang on the finish entered the playing field. Second sip was far more powerful (leading me to believe that perhaps I had chilled it too much). The red candy flavours were tempered by refreshing, almost watery sensations that led to citrus in the mid-palate and a nice chunk of tartness at the end. The small subtle bubbles caress the tongue and leave you wanting more.